At Original Works, we have been committed for decades to promoting quality art-based fundraising programs that support children’s creativity and self-esteem. That is why we celebrate Youth Art Month – a recognition and celebration of everything visual arts! March is Youth Art Month! 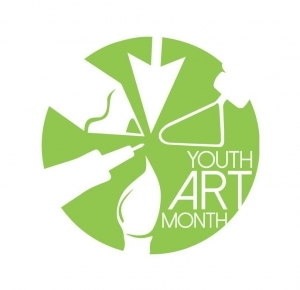 March is Youth Art Month and is administered nationally by the Council for Art Education, promoting participatory events like art shows, exhibits, fundraisers and community activities, and is inclusive of grades K-12. The goal is to support art programs in schools as well as art materials safety. Art month encourages the ability to encourage children in enjoying and exploring art, and celebrate the experiences that an art curriculum uniquely provides. This year’s theme for the 2018-2019 school year is “Your Art, Your Story”. How to Plan a Youth Art Program: Here you will find everything you need to start your Youth Art Month program. From information about the program itself, to ideas on how to get started, management, and even how to write a press release are included here. Youth Art Month by State: here you will find information about who your state Youth Art Month Chairperson is and you can visit your state art education website. Youth Art Month Museum: The Counsel for Art Education runs an annual state flag design contest that is their signature your national event. Here you can see the winning flags for the current year, and see how you can get involved. Monthly to Do List: if you are new to Youth Art Month, here is your guideline to preparing for this program. Learn more by visiting the Youth Art Month Facebook Page! If your school, preschool, church or community group is celebrating Youth Art Month, we would love to hear more about how you are promoting this worthwhile initiative!